Need a Father’s Day gift? Name a star! Feel good knowing you’ve given the most original Father’s Day gift in the universe! Hello OSR. I just wanted to let you know my special father’s day gift arrived promptly and I really appreciate the warm customer service provided by your company. You have truly made the father’s day more special and unique. Thanks once again and keep up the good work! I always send flowers to my Dad on the father’s day. Luckily, this year when my friend mentioned about your OSR site, I wanted to give something unique. My gift for father’s day arrived promptly and the best part was my father was very absolutely delighted with it. Thank you OSR for bringing him best fathers day gift! My Father’s day star gift made my father’s day! This year I had a brainwave on the Father’s day. As opposed to sending flowers or candies to my proud Dad, I had send father’s day star gift that will remain forever. Dad loved this unique father’s day gift and is proudly telling everyone he meets that his daughter has named a star after him. Thank you once again OSR, you are a true star! This year I wanted my Father’s Day gift to really show how much I love my dad. My parents have a cupboard full of useless and forgotten gifts from previous years. This Father’s Day gift was quite different. My dad was so pleased with it, it just made his Father’s Day! This year, my two daughters gave me a really special Father’s Day present, namely a certificate showing the unique coordinates of a star! ‘For the best dad in the world’ was written on it. I had the certificate framed straight away! There’s no better time to celebrate the love of a Father than on Father’s Day. 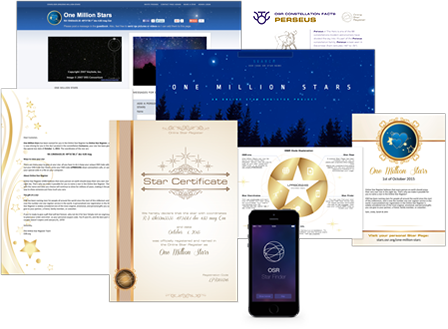 This Father’s Day, get him a gift he’ll never forget by naming a star in the Online Star Register. 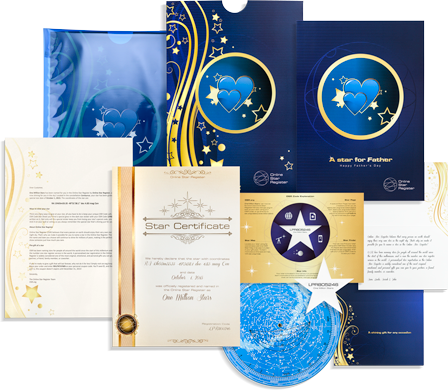 A gift with the Online Star Register is the perfect way to immortalize the love you share with your father. Our gifts truly are the most unique gifts in the universe! 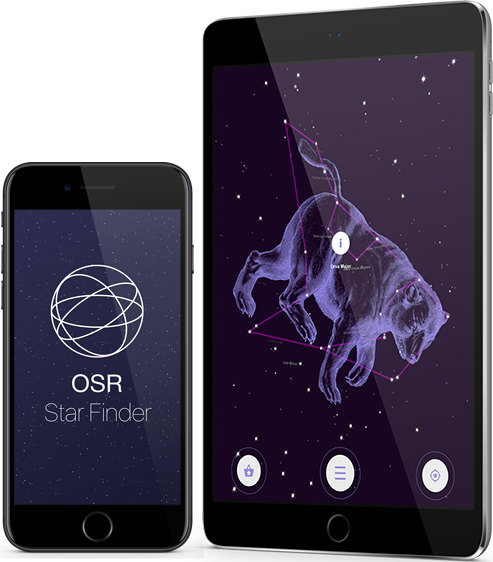 Choose from our gifts that all come with the ability to locate your new star in the sky with the breathtaking One Million Stars project and with the OSR Star Finder App. Both the name and the star date are completely customizable, and it even comes in elegant Father’s Day gift wrapping. 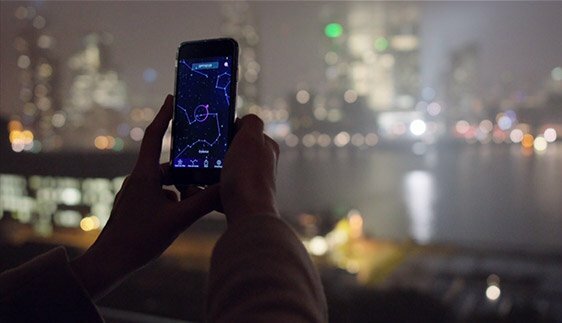 You’ll never have to worry about losing your new star in the sky when you name a star in the Online Star Register. 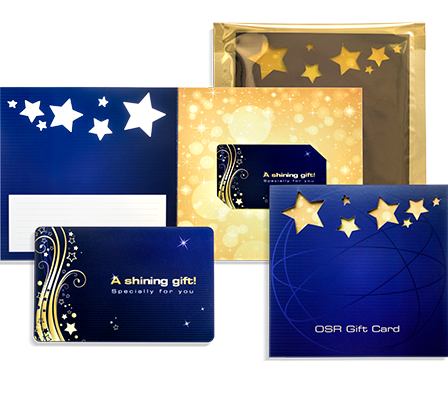 As we dream up new and creative ways to view your star, they will be added to your original gift pack for FREE.